Meet with one of the experts at Haywood Hunt Investigation Services to discuss your rights and options. We are a globally recognized, Premium Full-Service Private Investigation Surveillance Firm. We have offices conveniently located in both Toronto and Mississauga, Ontario. We offer Professional Investigation | Surveillance Services for Private Individuals including divorce, child custody, cheating spouse and infidelity investigations. We also offer services for the Insurance Industry, Legal Profession, Corporate Communities, and Government Agencies. The Haywood Hunt team is comprised of highly trained and experienced private investigators. Our stable of investigators are exclusively comprised of experts from numerous fields. The core make up includes former Senior Police Executives, Senior Police Detectives, Senior Level Corporate Investigators, Ex-Military Intelligence experts and former Correctional Officers. Each member of our qualified team brings with them a unique skill set as well as a specialization in both criminal and civil investigations. With offices in the City of Toronto and our Corporate Head Office located in Mississauga, Haywood Hunt & Associates Inc. continues to maintain close ties to municipal, provincial and federal law enforcement agencies. Furthermore, having created strong strategic global partnerships, enables us to provide Investigation Services for our respected clients locally, nationally and worldwide… without compromise! As a premier private investigations firm, we are recognized as a proven leader capable of delivering the highest quality investigative services. These services help our clients determine the validity of questionable claims that at times, tend to be present within the corporate spectrum. 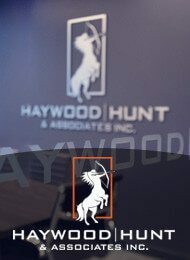 As Toronto’s leading private investigative agency, Haywood Hunt offers a myriad of services including Criminal Investigations, Civil Investigations, Corporate Investigations, Workplace Investigations, Insurance Investigations, Surveillance Services, Risk Management, Undercover Investigations, Spousal Infidelity,Missing Persons, Cold Case Review and Consulting Services. Their Investigative Team is comprised of Former Senior Police Executives, Former Senior Police Detectives, Senior level Corporate Investigators, Ex-Military Intelligence Experts, and Former Correctional Officers. Each one of their members bring decades of experience specializing in criminal and civil investigations. Haywood Hunt & Associates Inc are members of the Association of Certified Fraud Examiners (ACFE), The International Association of Financial Crimes Investigators (IAFCI), The International Association of Property and Evidence (IAPE), Council of Private Investigators of Ontario (CPIO) and The International Association of Arson Investigators (IAAI). They are also active members of the Toronto Board of Trade and the Mississauga Board of Trade.